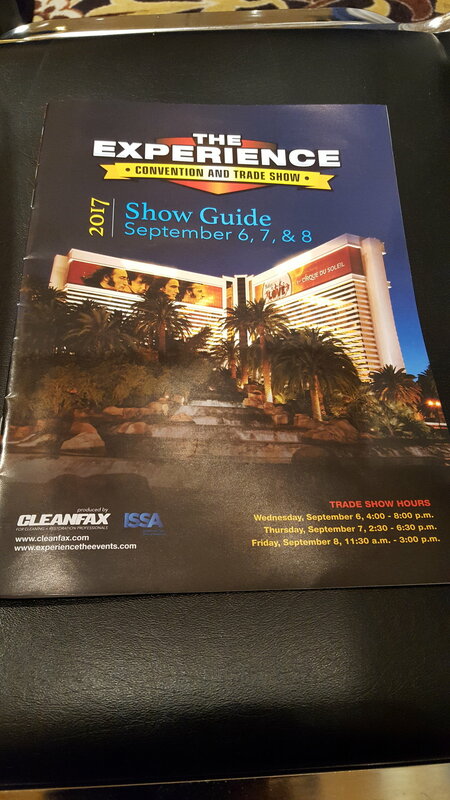 Jodi and I recently had the opportunity to join the nation's leading experts in Cleaning and Restoration at their annual convention in Las Vegas, NV. We've met some of the folks in this group before, at their expo in Clearwater last spring, but this was a slightly longer show and gave us more time to get to know this industry a little better. Interestingly enough, the timing was not on our side. This was right on the heels of Hurricane Harvey, and a mere two days from Hurricane Irma landfall. Given that the attendees were all in the CLEANING and RESTORATION (water damage, whoa) fields, many had left or were leaving early, to attend to those needs in Texas and Florida.